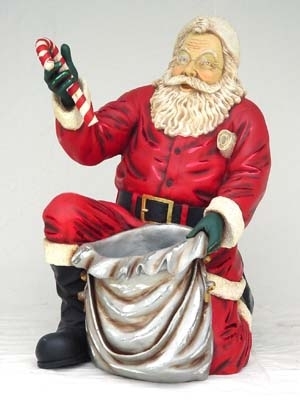 This fantastic life size figure of Father Christmas is kneeling down with an open sack in front of him and a candy cane in his hand. The sack can be filled with sweets or presents for a lucky dip. 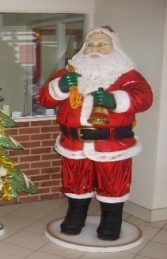 This life-size cold-cast poly-resin and fibre glass 3d model figure of Father Christmas kneeling down with an open sack is ideal for the entrance to a Christmas grotto, for themed Xmas displays, Christmas themed window displays, for advertising or drawing attention to your business or for the home and garden. 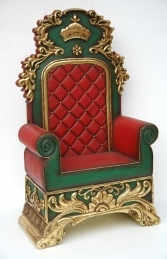 This model can be used to huge effect in your Christmas shop-window display or Grotto, and is ideal for all businesses, pubs, restaurants, coffee shops, adventure golf courses, children’s farms, zoos, theme parks etc. to decorate and promote Christmas events, activities and parties or this would even look fabulous in your own home or garden for a Christmas display to outdo all the neighbours.